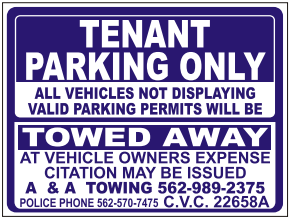 We are your first choice for all your towing and parking enforcement needs. 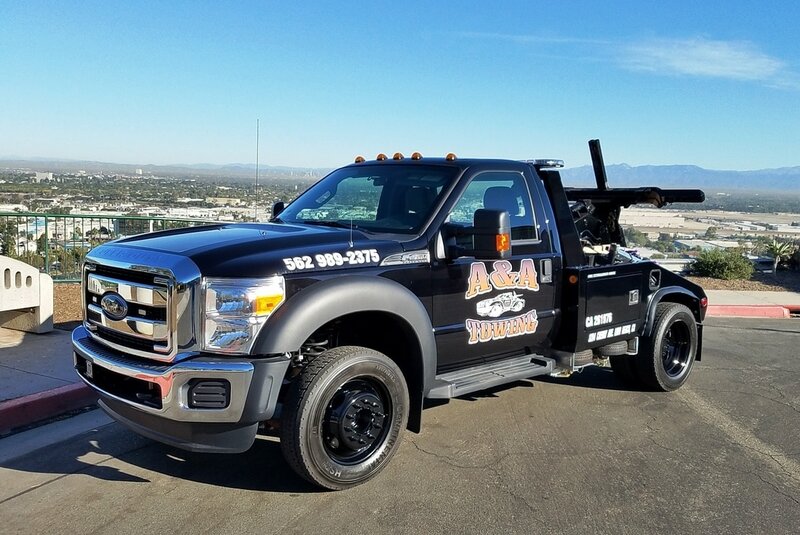 A&A Towing provides exceptional Tow Truck and Parking Enforcement Services in Long Beach and all surrounding cities since 1985. With our fleet of light, medium-duty and flat-bed towing service trucks and the most experienced and professional drivers in the industry, we can be where you need us within minutes. Proudly serving Long Beach and surrounding communities as the preferred choice for full-service towing, Private Property Impounds (PPIs) and Road-Side Assistance. We are here for you- 24 hours a day. 365 days of the year. 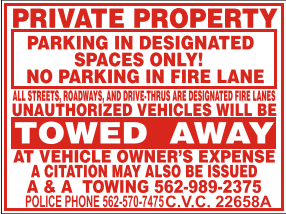 30 years of experience in Private Property Impound Towing and City Parking Regulations. Fleet of specialized towing equipment that can handle any requirements, big or small, we can tow it all. Centrally located 24/7/365 Dispatch and Storage Facility off the 405 Freeway in Long Beach so we are quick to respond and you will never receive an answering machine when you call for service. Secure well-lit storage facility that is staffed and monitored by video surveillance/security systems. Fully licensed, permitted, bonded and insured. Our uniformed drivers are highly qualified, bi-lingual and have the skill and expertise to tow anything. Courteous, professional staff who have the required experience to manage Private Property Tows by adopting an attitude that focuses on compliance and offers fair resolution to all. We provide our Business and Private Property customers free signs, installation, Tenant Permits and digital documentation for every tow. ​ARE YOU HAVING PRIVATE PARKING PROBLEMS? A&A TOWING IS YOUR ANSWER!